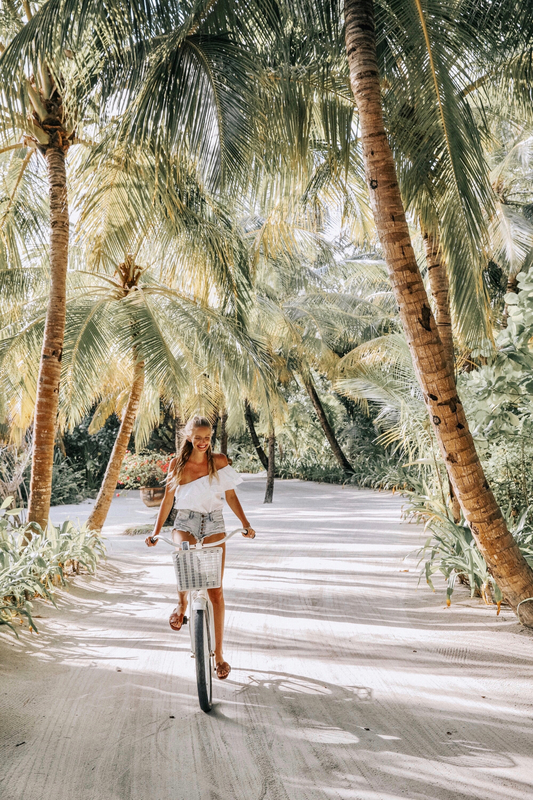 I just came back from a short but super beautiful trip with Linda Farrow to Dubai and the Maldives and even though I haven’t found the time to look through all the pictures yet, I decided to upload a few of them, just to show you what we’ve been up to in paradise. 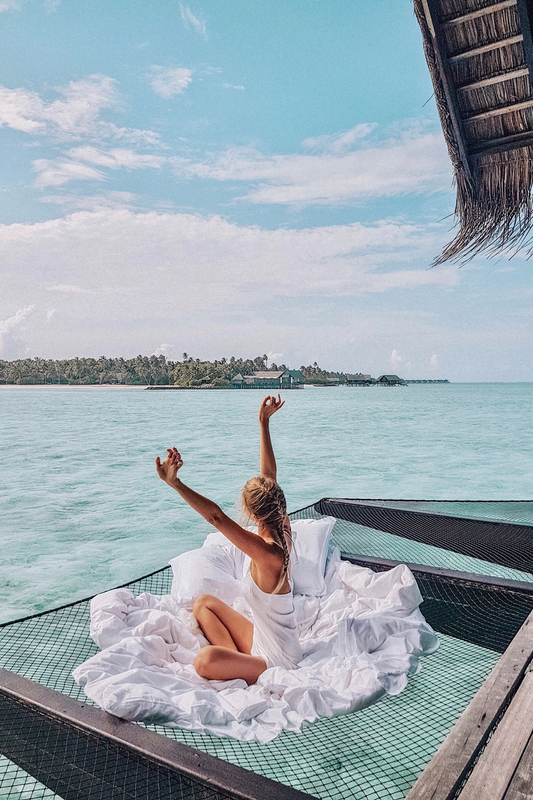 I was looking forward to the trip so much since Linda Farrow is one of my favorite sunglass brands and spending some time to shot for Linda Farrow in Dubai and Maldives sounded almost too good to be true. 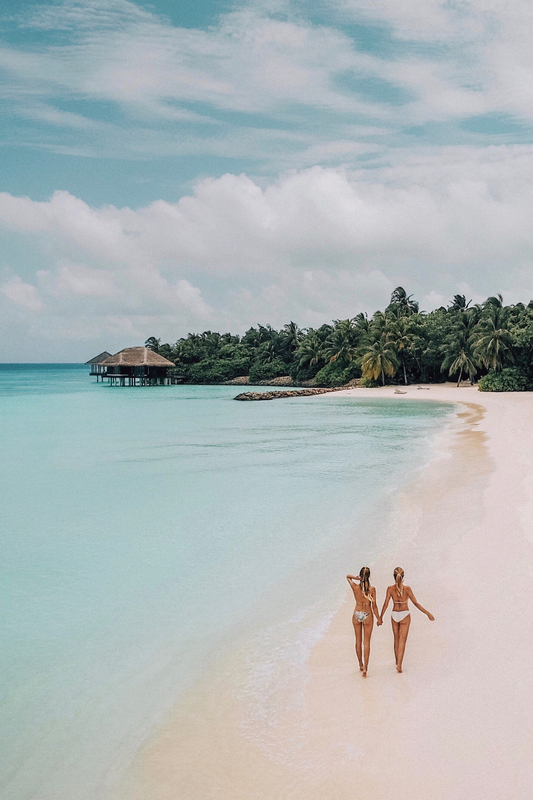 😉 If you want to see even more Maldive vibes, you can see my biiiig Maldives travel guide from last year’s trip: here. 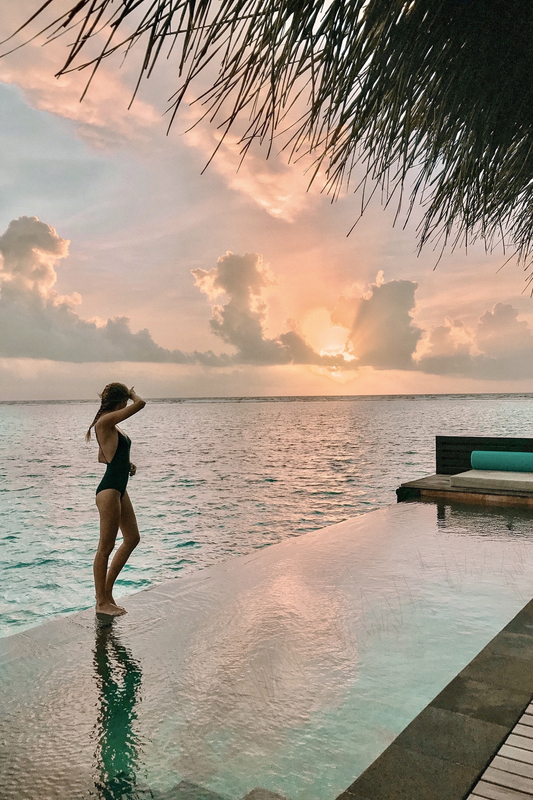 In today’s post I want to share with you more about my time on the Maldives. 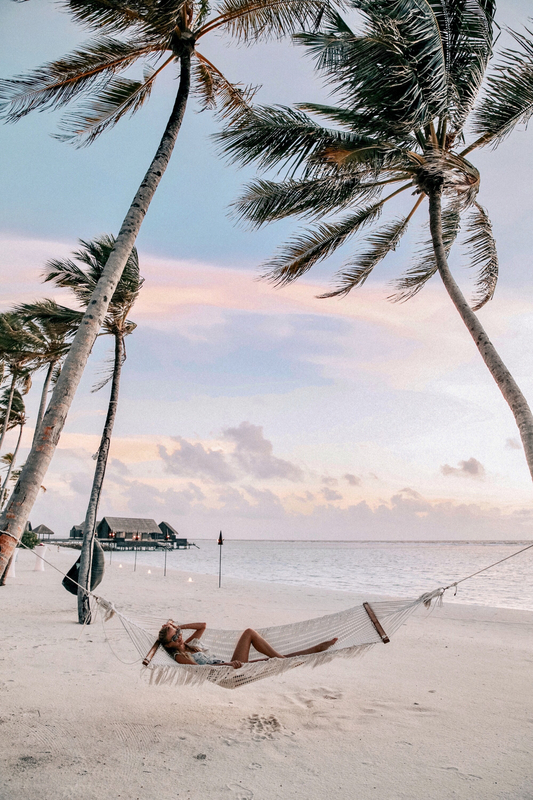 The first two nights I stayed with Linda Farrow at the One & Only Resort Reethi Rah. Even though we arrived with only two hours of sleep (short distance red-eye flight ;)), the beauty of the island was overwhelming. 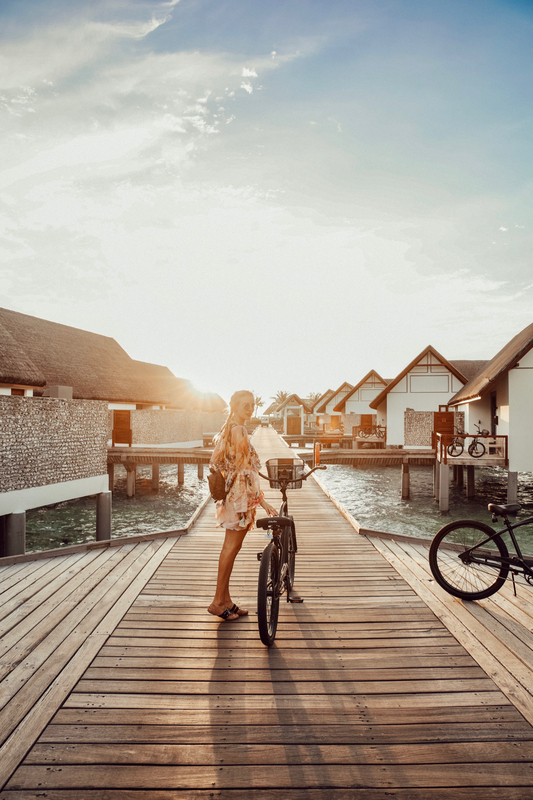 The crystal clear water, the wild palm trees and the stylish bungalows. As Alex and I both love photography so much, we bought a drone in Dubai and couldn’t wait to take some pictures from new perspectives. Even though we only had two days, I tried to capture as much as possible to give you an idea about this heaven on earth. 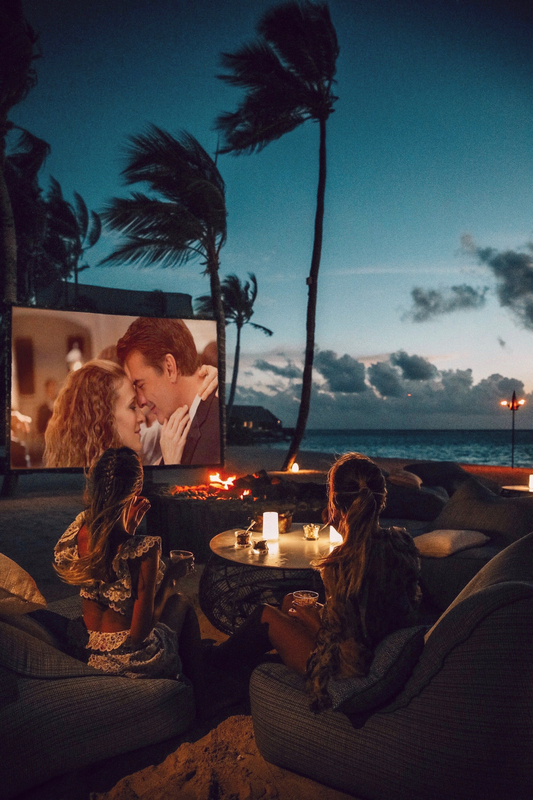 My highlights were seeing the sharks in the night, eating at the Botanic restaurant (happy veggie ;)), waking up early to see the sunset from our ocean villa and watching open air movies during sunset. Looking back I can’t believe how much we’ve seen and experienced in only two days! 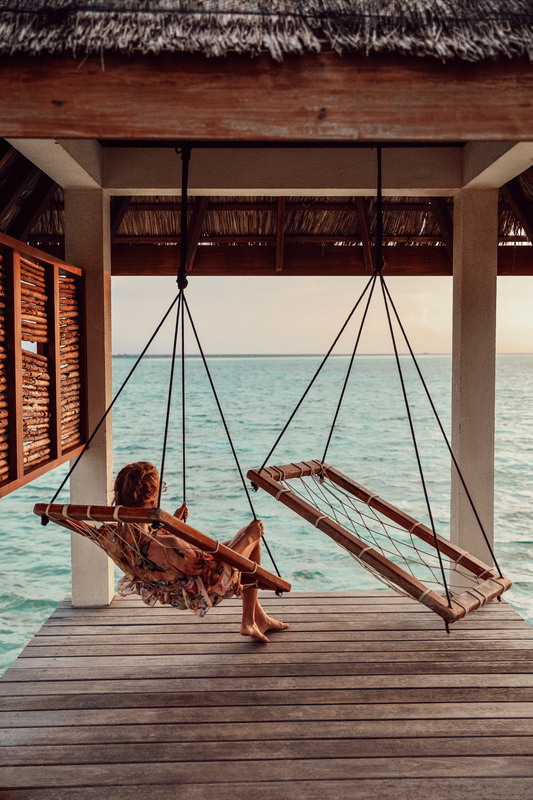 Die Malediven stehen auch ganz weit oben auf meiner Travel Bucket List. Ich wünsche euch einen wunderbaren Wochenstart! Such an amazing place on Earth! Is it difficult to manage the drone? I’ve been wanting one but has that little concern! Das hört sich soooo traumhaft an liebe Leonie! Omg! Again pretty pictures! How do you edit your pics? Is it Lightroom? Or apps? If Lightroom, do you sell your presets? What lenses do you use to take your pictures? Die Bilder sind einfach traumhaft. Das Wasser, der Strand… ein absoluter Traum. Wir sind auch gerade am Überlegen, nächstes Jahr auf die Malediven zu fliegen. Mal schauen ob es klappt. Leonie your pictures are always SO stunning – love catching up on your blog more than anyone’s! I visited the Maldives earlier this year and it’s the most magical place on earth, you captured it perfectly! Suuuper schöne Fotos! Einfach ein Paradies! Sieht nach einer wundervollen Reise aus, ich hoffe du hattest Spaß..